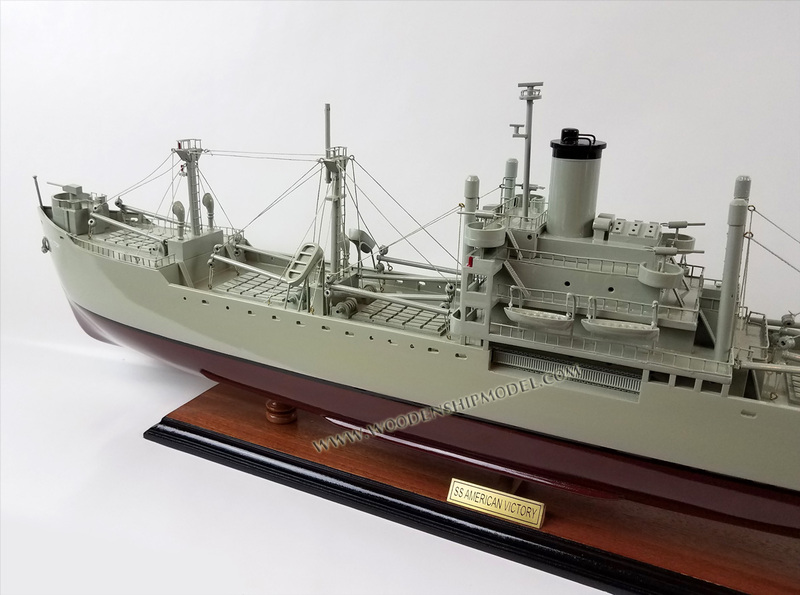 SS American Victory is a Victory ship which saw brief service in the Pacific Theater of Operations during the waning months of World War II, Korean War from 1951-1954, and Vietnam War from 1967-1969. 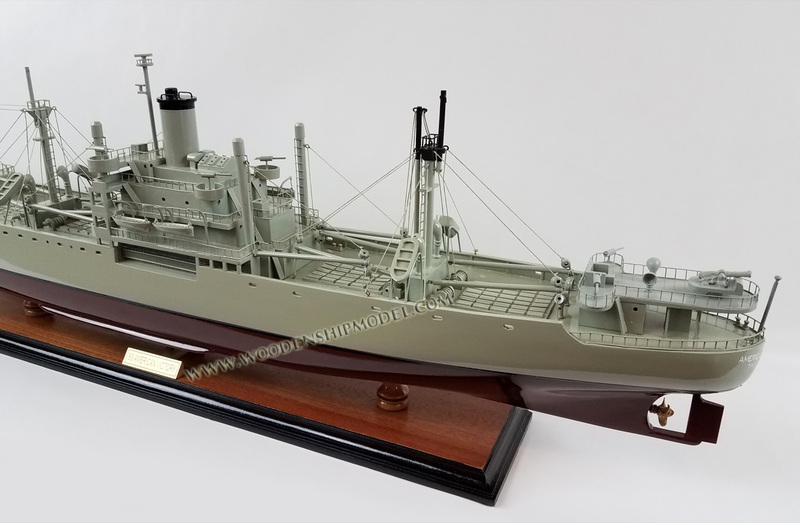 Built in June 1945, she carried ammunition and other cargo from U.S. West Coast ports to Southeast Asia, then ferried cargo, equipment and troops back to the U.S. after the war ended. She survived two typhoons, and one hurricane. She sailed across the world twice. American Victory spent half of the period between 1946 and 1966 chartered to commercial carriers and the other half in two stints in U.S. reserve fleets. From 1966 to 1969 she delivered cargo to Southeast Asia in the Vietnam War, then three decades again in reserve. In April 1999, she was turned over to a preservation organization to serve as a museum ship. Today she is the main feature of the American Victory Ship & Museum, also known as the American Victory Mariners Memorial & Museum Ship in Tampa, Florida's Channel District. 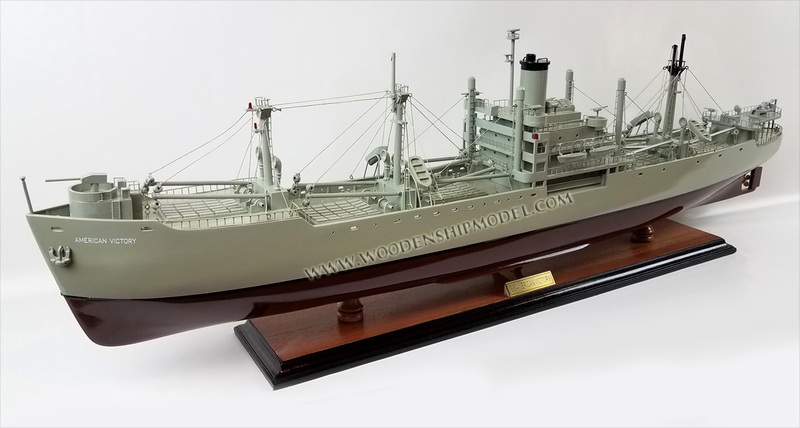 Named after American University in Washington, D.C., the ship was built at the California Shipbuilding Yard (Calship) in Los Angeles, California in just 55 days and was delivered on 20 June 1945. SS American Victory was at first assigned to the U.S. Army at Fort Mason, California. 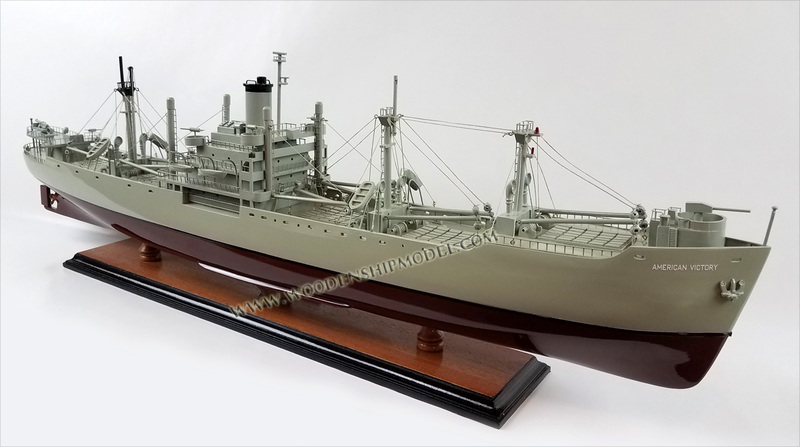 She was a United States Merchant Marine ship operated by the American Export-Isbrandtsen Lines. She loaded up cargo at a few west coast ports and streamed to Manila in the Philippines. Manila had been liberated on March 3, 1945 and was in need of supplies. She took her remaining cargo to Shanghai, China. In November 1945, she sailed to Calcutta and Port Said, Egypt and load military cargo to be returned to the USA. She arrived in New York in January 1946 and unloaded her cargo, having completed her around the world trip. At the end of the war she ferried more cargo, equipment and troops stateside. From June 1946 until November 1947, American Victory was chartered by American Export Lines, carrying foodstuffs and machinery exported from the United States to Europe, Russia and the Near East under the Marshall Plan, the Post-War reconstruction of the European Continent. Some of her Ports of call were: Trieste in Italy, Constanza in Romania, Piraeus in Greece, and Antwerp in Belgium. Departing Odessa, Ukraine to Boston in January of the 1947, the Black Sea had already iced up, not waiting for the Soviet icebreaker Turgenev to clear the ice, Captain, A. D. Cushman, knowing the SS American Victory was a well built ship, decided to use her as an icebreaker, backing up and ramming the ice so both her and other ships could part the Black Sea. 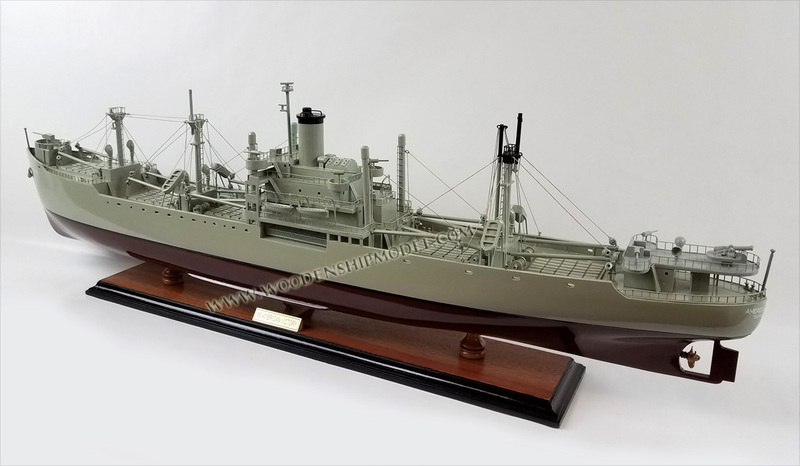 She was then laid up in the Hudson River Reserve Fleet until she was again chartered by commercial shipping lines, U.S. Navigation Company, during the Korean War from 1951 until January 1954, when she entered the Sabine River Reserve Fleet in Texas. 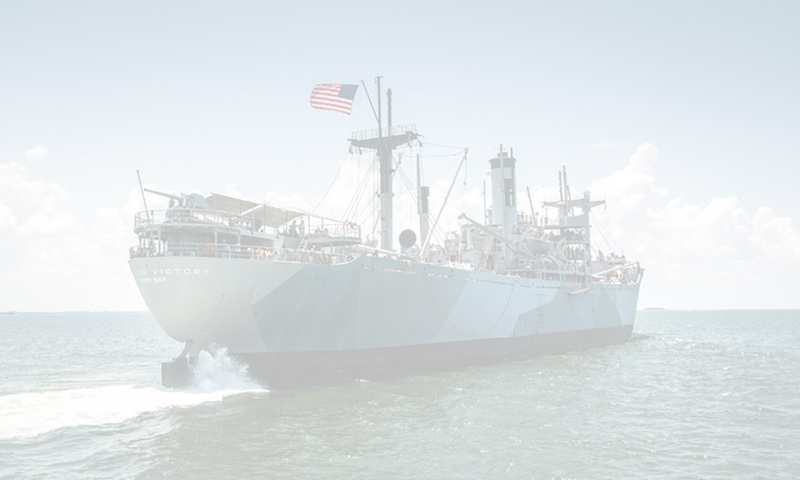 In 1963 plans were made to convert her and 14 other Victory ships to "forward depot" vessels, to be loaded with materiel and stationed near potential flashpoints to provide American forces with pre-positioned supplies. This scheme was cancelled in February 1966 after only three conversions had been carried out. Had American Victory been converted, she would have been renamed USNS Carthage and assigned pennant AG 185. 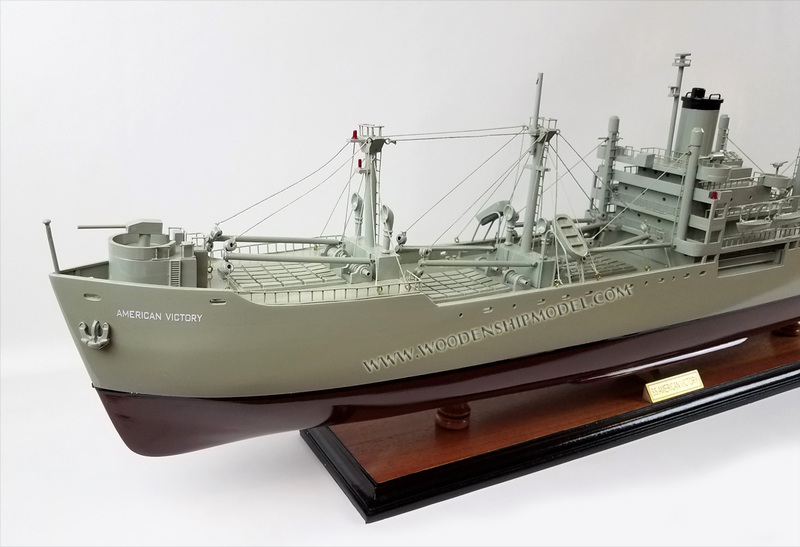 American Victory was removed from the reserve fleet in 1966 and chartered to the Hudson Waterways Corporation, which used her to ferry military equipment to American forces in South Vietnam. She was deactivated again in October 1969 and placed in the James River Reserve Fleet in Virginia where she remained until 1985. American Victory was then renovated as part of a program to determine the efforts needed to reactivate mothballed Victory ships. In June, after $2.5 million USD had been spent to bring her up to fully operational condition, she sailed for just 26 hours before returning to the Naval Reserve Fleet. One of several World War II Victory ships due to be scrapped in the late 1990s, American Victory was rescued by preservation efforts which began in October 1998. She arrived at Tampa, Florida under tow to begin her new life as a museum ship and memorial on 16 September 1999. Following extensive overhaul with the ship brought to Fully Operational status in 2003, she is now on display and included on the National Register of Historic Places. Guided and self-guided tours of the ship are available, though some areas are off limits for tours, such as the lower areas of the engine room (but visible from a catwalk), and the wheel house of the command bridge, as well as the Cargo Hold next to the receptionist desk.Photos of her drydock restoration are hanging in the mess hall. Several rooms, such as the captain's quarters and galley cold storage, have been restored and are decorated in original period memorabilia. American Victory has been upgraded with modern VHF radio and radar (visible on the command deck), and more modern electronics have been added to the electricians' quarters and radio room, but she is generally in her historic form. Her 3-inch bow mounted deck gun is still in place, although demilitarized, as well as the 5-inch stern gun and another 3-inch gun next to it still in place. The mostly volunteer museum "crew" take pride in the fact that she is a fully operational, seaworthy vessel. She usually does about two cruises a year, however, none are scheduled for 2015 due to costs, she is scheduled for a drydock period. On 10 June 2015, the U.S. Coast Guard performed a safety inspection of the ship. In addition to her floating museum role, American Victory still sails for "Living History Day Cruises". 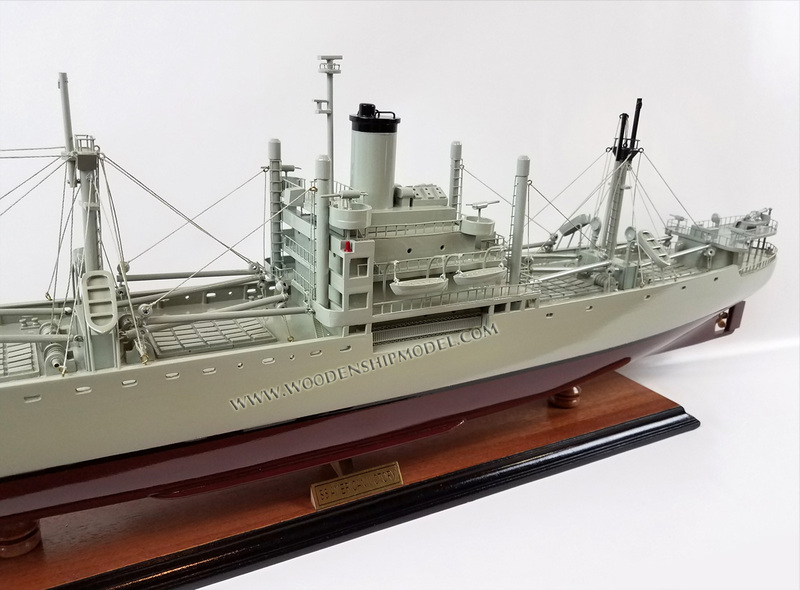 Of the 534 Victory ships completed, only three remain working: American Victory at Tampa, SS Lane Victory at Los Angeles, and SS Red Oak Victory at Richmond, California. Until November 2012, a fourth, USNS Range Sentinel, originally USS Sherburne, was in storage, but she has been sold for scrapping. The ship is also used as an operating base for a local United States Naval Sea Cadet Corps unit. The ship has many notable exhibits in the No.3 cargo hold, which was converted to a museum exhibit area and receptionist desk. It includes an original submarine propeller from the German U-boat U-352 sunk in May 1942 by the U.S. Coast Guard cutter USCGC Icarus, and recovered in 1979. It includes photos of the shipwreck, a mannequin of a Kriegsmarine sailor in uniform, and a diagram of the U-boat U-505. 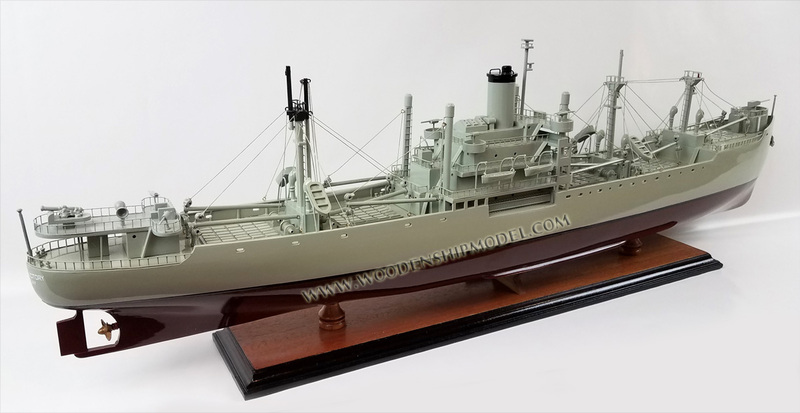 She also has numerous ship models, including a Clemson-class destroyer, a Fletcher-class destroyer, a German Type XXI U-boat, and SS United States. There are also numerous vintage Merchant Marine recruiting posters, and a collection of Victory and Liberty ship's plaques, all of them sunk or scrapped. They date from 1844 to 1956. There is also a mock-up of the ships wheelhouse, and a lifeboat and Maritime Signal Flag exhibit.